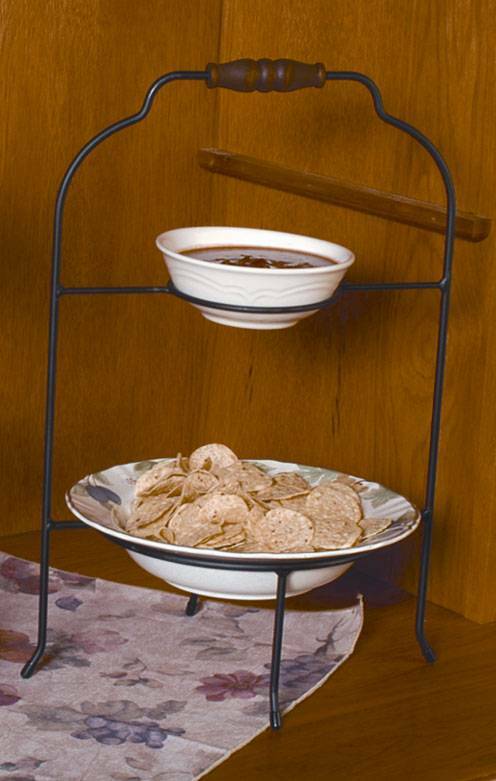 Classic and classy, this two tiered chip and dip rack is the perfect addition to any kitchen. Rack features a durable, black powder coated finish, rubber booties for its feet, a single wooden handle for easy relocation, and is handmade in the USA. This unit measures 9" in diameter and is 19" tall. Dip opening is 4 3/4" in diameter and bowl opening is 8 3/4". A lovely rack at a lovely price!